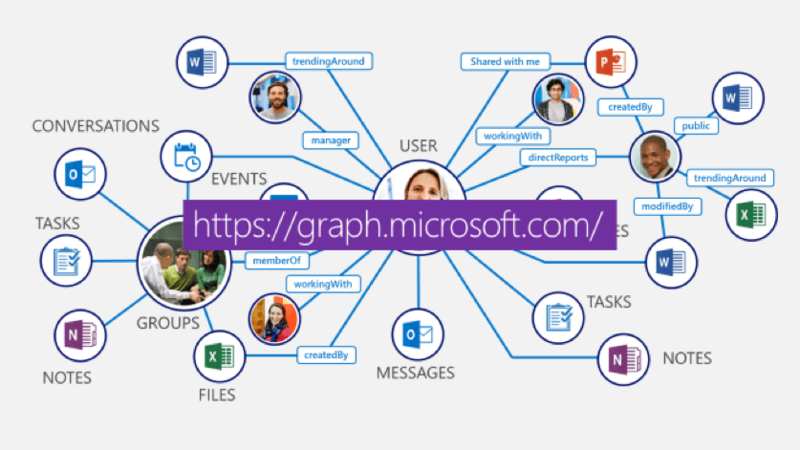 Today, at Connect() the Office 365 Unified API was made generally available, and now has a new name, Microsoft Graph. 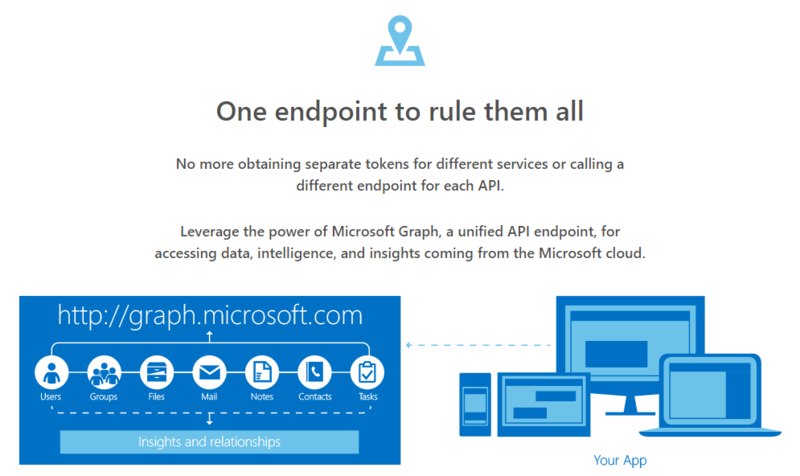 There’s a new website – graph.microsoft.io making a pretty bold claim taken right out of Lord of the Rings: One Endpoint To Rule Them All. Unified Microsoft API endpoint for accessing the capabilities of the Microsoft cloud. Unified access to data living in the Microsoft cloud. Unified access to intelligence and insights coming from the Microsoft cloud. Planner, OneNote, Converged Auth. flow support, OneDrive Files and Outlook. Start coding—Visit graph.microsoft.com to get all the documentation, code samples, SDKs, graph explorer and much more. Sign up—Visit office.com and click the Sign Up button to join a vibrant and growing community of developers building solutions for Office 365. More on Office Dev—Visit office.com/getting-started to get started with Office development.